Plans to cut wild horse numbers to just 600 in Australia’s Kosciuszko National Park could spell the end of the heritage brumbies if the region was swept by a major fire, advocates believe. Supporters of the horses reacted with dismay to a draft plan released on Sunday by the New South Wales Government which proposes cutting the park’s brumby population from 6000 to 600 in a 20-year timeframe. The plan, which is open to public consultation until July 8, proposes halving the number of brumbies in the national park over the next five to 10 years. The reduction would involve the use of trapping, rehoming, mustering, ground shooting, fertility control and fencing. 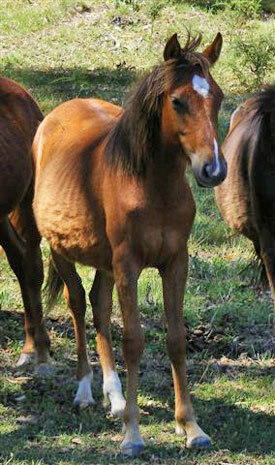 The Australian Brumby Alliance said the horses were already restricted to under half of the national park. It said it had put forward compelling evidence that there were significant, widespread areas of the park that had both healthy ecologies and healthy brumbies. It said it accepted that brumbies should be excluded from specific high alpine areas, but unless deer, pigs, goats and rabbits were also excluded, culling brumbies would be a waste of taxpayers’ dollars. “It is insulting to infer that the wild horse community fails to value Kosciuszko National Park’s unique environment, when we do care,” alliance spokeswoman Jill Pickering said. “Wild horses at managed, sustainable and viable levels help their environment,” she asserted, adding that many overseas conservation grazing programmes used wild horses to increase biodiversity. She called on the National Parks and Wildlife Service “to protect the diverse interests of all Australian communities, not just the interests of some Australian communities”. The alliance suggested the state’s environment minister, Mark Speakman, who announced the draft plan, seemed to be discriminating against Australians wanting to see brumbies living wild by recommending such low brumby numbers. The group suggested more than 5000 heritage brumbies were needed to ensure a viable population, noting that a catastrophic fire in 2003 killed 64% of all brumbies in the park. The group said one wildfire could easily wipe out 600 brumbies “and result in the instant extinction of early settlement living history and the unique, genetically robust wild horses that have evolved for 200 years”. The horses, it said, would be lost to future generations forever. Pickering urged wild horse supporters to read the draft papers and lobby Speakman, state premier Mike Baird, and their local members of parliament to prevent the heritage brumbies being “managed to extinction”. She called for a robust population of 5000 Brumbies to continue living in the park, but outside areas identified as fragile. The organisation Save the Brumbies also urged people to comment on the proposals, asserting that documentation of damage caused by brumbies was biased and not factual. “We have independent research data that disputes many of the reports presented to the public,” it said in a statement.